but also in the barn! 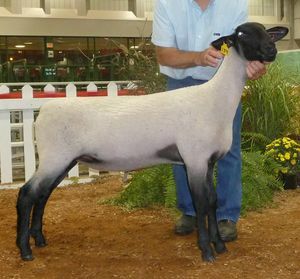 Many of the buyers from previous years have done very well in both the show ring and producing quality sheep. We congratulate them and thank them for purchasing sheep from us. 19485 Santa Fe New Knoxville Rd.